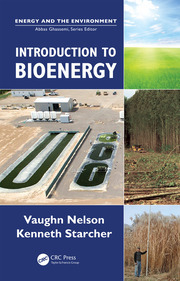 Water, energy, and food are basic requirements for life, and this book presents solutions for obtaining these from sewage wastewater treatment plants. 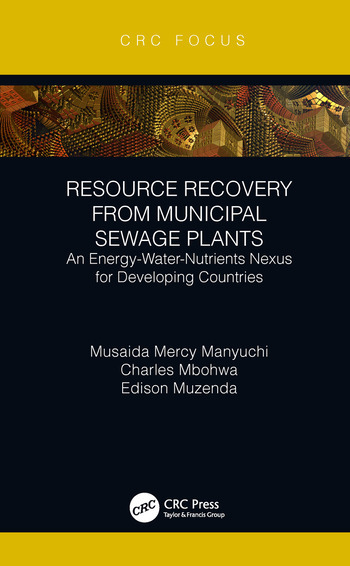 It describes the optimal recovery of value-added products from municipal sewage plants in developing countries, and explains how the plants’ operations can become both economical and sustainable. Further, it shows how the clean effluent that is obtained is then suitable for agricultural use in the production of bio-fertilizers, and graywater for irrigation, and how the recovered biogas could be used for energy and heating needs. Practical case studies from three separate sewage plants are presented to illustrate the processes involved. Introduction to Resource Recovery from Municipal Plants. Municipal Sewage Wastewater Treatment. Anaerobic Treatment of Municipal Wastewater Bio-Augmentation. Resource Recovery from Municipal Sewage. 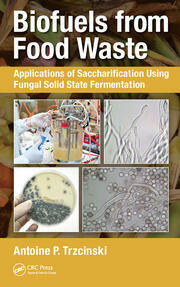 Bio Solids from Municipal Sewage Sludge. Economic Considerations. Resource Recoveryfrom Chitungwiza, Firle and Crowborough Plants in Harare, Zimbabwe- A Case Study. Conclusion and Recommendations. References. Index. Dr. Musaida Mercy Manyuchi is a professional chemical engineer by training and earned a doctorate in echnology in chemical engineering from Cape Peninsula University of Technology in South Africa, a master of science in engineering from Stellenbosch University in South Africa and a bachelor of engineering with honors in chemical engineering from the National University of Science and Technology in Zimbabwe. Dr. Manyuchi is a research fellow with the BioEnergy and Environmental Technology Centre in the Faculty of Engineering and the Built Environment at the University of Johannesburg. She is also a faculty member for the Chemical and Processing Engineering Department at the Manicaland State University of Applied Sciences in Zimbabwe. Dr. Manyuchi was a faculty member in the Chemical and Process Systems Engineering Department at the Harare Institute of Technology in Zimbabwe, where she also served as the head of department for 5 years. 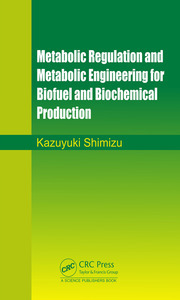 Dr. Manyuchi was a visiting research scholar at the German Biomass Research Institute in Germany. Dr. Manyuchi is a professional member of the Engineering Council of South Africa, South Africa Institute of Chemical Engineers, Engineering Council of Zimbabwe, Zimbabwe Institute of Engineers and the World Federation of Engineering Organizations. Dr. Manyuchi’s research interest lies in waste-to-energy technologies and the value addition of waste to bioproducts. To date, she has published more than 30 research articles in peerreviewed journals and conferences, 2 books and 5 book chapters in the waste valorization area. Dr. Manyuchi’s work in green initiatives has won several awards, including the prestigious German-based Green Talents, the SanBioFemBiz, the Research Council of Zimbabwe Outstanding Research Award, the Japanese International Award for Young Researchers and Africa Award for AgriTech Innovators. Dr. Charles Mbohwa is a professor of sustainability engineering and is currently the acting executive dean in the Faculty of Engineering and the Built Environment at the University of Johannesburg. He was the chairman and head of the Department of Mechanical Engineering at the University of Zimbabwe from 1994 to 1997 and was vice-dean of postgraduate studies research and innovation in the Faculty of Engineering and the Built Environment at the University of Johannesburg from 2014 to 2017. He has published more than 350 papers in peer-reviewedj ournals and conferences, 10 book chapters and 5 books. Upon graduating with his BSc honors in mechanical engineering from the University of Zimbabwe in 1986, he worked as a mechanical engineer with the National Railways of Zimbabwe. Dr. Mbohwa earned a master’s in operations management and manufacturing systems from the University of Nottingham. He earned a doctorate in engineering from the Tokyo Metropolitan Institute of Technology in Japan. He was a Fulbright Scholar visiting the Supply Chain and Logistics Institute at the School of Industrial and Systems Engineering, Georgia Institute of Technology; a Japan Foundation fellow; and a fellow of the Zimbabwean Institution of Engineers. He is a registered mechanical engineer with the Engineering Council of Zimbabwe. Dr. Mbohwa has collaborated with researchers based in many countries, including the United Kingdom, Japan, Germany, France, the United States, Brazil, Sweden, Ghana, Nigeria, Kenya, Tanzania, Malawi, Mauritius, Austria, the Netherlands, Uganda, Namibia and Australia. Dr. Edison Muzenda is a full professor of chemical and energy engineering and head of the Chemical, Materials and Metallurgical Engineering Department in the Faculty of Engineering and Technology at the Botswana International University of Science and Technology. He is also a visiting full professor of chemical engineering at the University of Johannesburg. He was previously a full professor of chemical engineering and the research and postgraduate coordinator as well as head of the Environmental and Process Systems Engineering and Bioenergy Research Groups at the University of Johannesburg. Professor Muzenda was also chair of the Process Energy Environment Technology Station Management Committee at the University of Johannesburg. Professor Muzenda earned a BSc with honors (Zimbabwe) and a PhD (Birmingham, United Kingdom). He has more than 20 years’ experience in academia, which he gained at various institutions, including the National University of Science and Technology, Zimbabwe; University of Birmingham; University of Witwatersrand; University of South Africa; University of Johannesburg; and Botswana International University of Science and Technology. Through his academic preparation and career, he has held several management and leadership positions. Professor Muzenda’s teaching interests and expertise are in unit operations, multistage separation processes, bioenergy and biofuel technologies, waste-to-energy technologies, environmental engineering, chemical engineering thermodynamics, professional engineering skills, research methodology and process economics, management and optimization. He is a recipient of several awards and scholarships for academic excellence, such as the nomination as an outstanding researcher for an African research booklet in 2017 by the Department of Science and Technology, South Africa. His research interests are in bioenergy engineering, sustainable and social engineering, integrated waste management, air pollution and separation processes, as well as phase equilibrium measurement and computation. His current research activities are mainly focused on waste-to-energy projects, particularly biowaste to energy for vehicular application. He has contributed to more than 380 international peer-reviewed and refereed scientific articles in the form of journals, conferences, books and book chapters. He has supervised more than 30 postgraduate students and more than 260 honors and BTech research students. He serves as reviewer for a number of reputable international conferences and journals. Professor Muzenda is a member of several academic and scientific organizations, including the Institute of Chemical Engineers, United Kingdom; South African Institute of Chemical Engineers; and International Society for Development and Sustainability. He is an editor for a number of scientific journals and conferences. He has organized and chaired several international conferences. He currently serves as an editor of the South African Journal of Chemical Engineering.